Before the event we hosted a v9 Developer Certifications standalone exam. 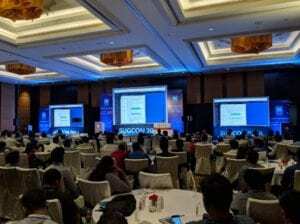 SUGCON India 2018 consisted of 18 sessions, put together by both Sitecore staff and elite community members, with Cloud and Commerce receiving the most emphasis. I had the honor of presenting the opening keynote, together with Rob Earlam, Technical Evangelist, from my team. 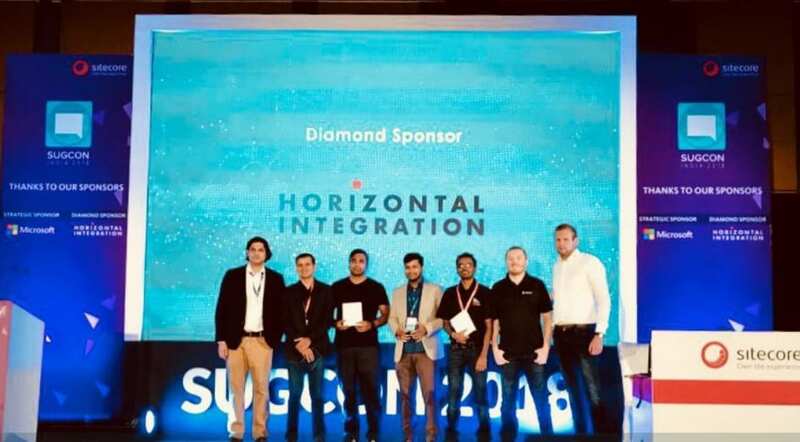 We talked about the Evolution, Innovation of Sitecore and Connection with the community. All the sessions have been recorded and can be found on the SUGCON YouTube channel. We also celebrated the community during the evening with dinner, drinks and the Sitecore Most Valuable Professional Award Ceremony. 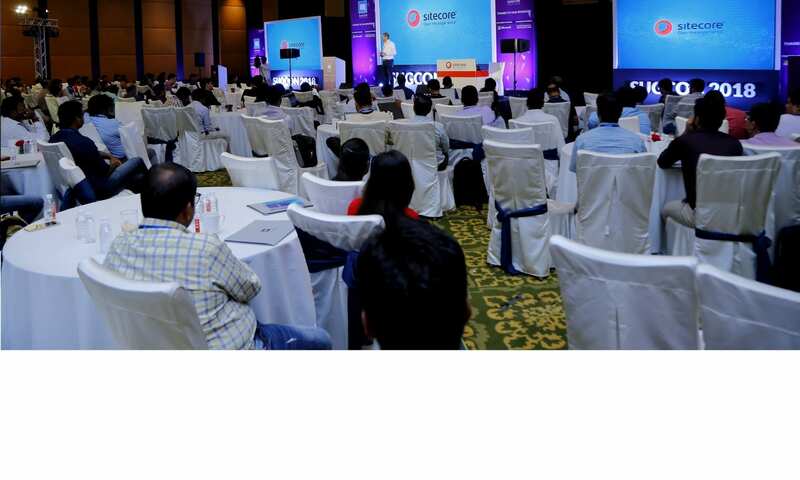 India has produced some of Sitecore’s most esteemed contributors that our ecosystem has seen. Year after year, MVPs are named from this region and this year we were able to hand deliver the awards of all 2018 MVP winners. There was no surprise in the level of knowledge seen amongst the audience members and the sophistication of the questions raised. Southeast Asia has long been a hub that companies globally tap into when looking to outsource affordable labor. Investing in this demography could increase talent pool of freelancers and gave birth to more partner firms, thus, in turn, lowering total cost of ownership for Sitecore customers. 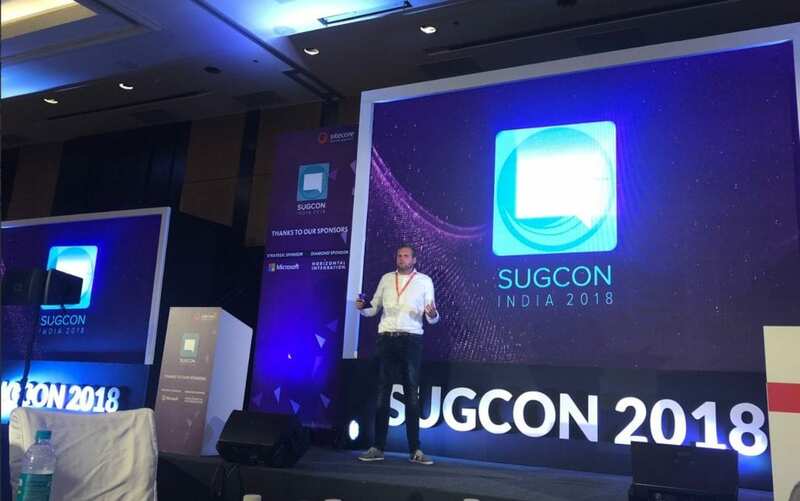 I can’t wait to return to India for SUGCON 2019, thank you India and see you next year.